All the lessons listed here are in PDF format. Simply click the lesson you want and download it. Some of the lessons have accompanying slides - click on the slides to download them. Slides are intended as inspiration for the most part, and illustrate how various artists use the concepts in their work. You may want to do further research on these artists. Please note: These materials are copyrighted by Ellen A. Fountain. They are NOT to be offered for sale. 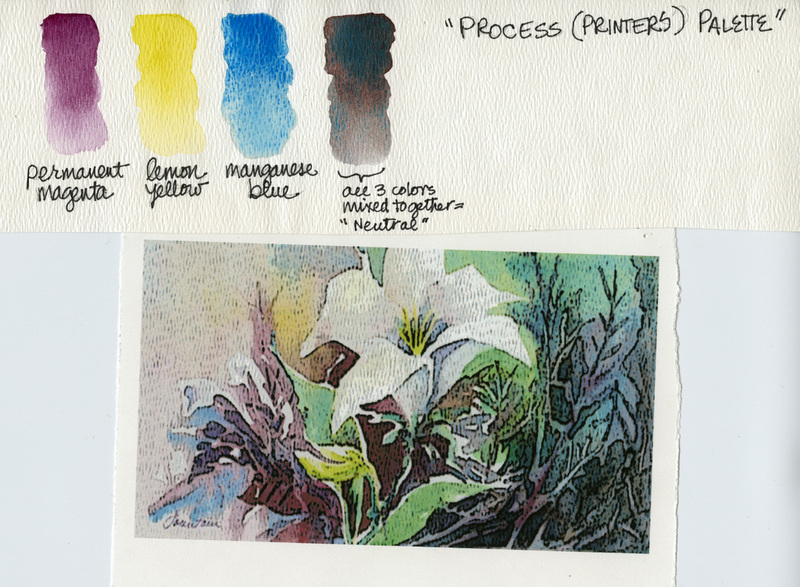 Paint, paper, water and a brush - that's all you need to start painting with watercolor. Here are brief introductions to these basics. * If you want a more in-depth tutorial on this subject, consider ordering my workbook on this subject. ﻿Learn more about and explore an alternative painting surface - gesso - with this lesson. Beautiful textural effects are possible, and you can wipe back to the white gessoed surface many times before it stains permanently. 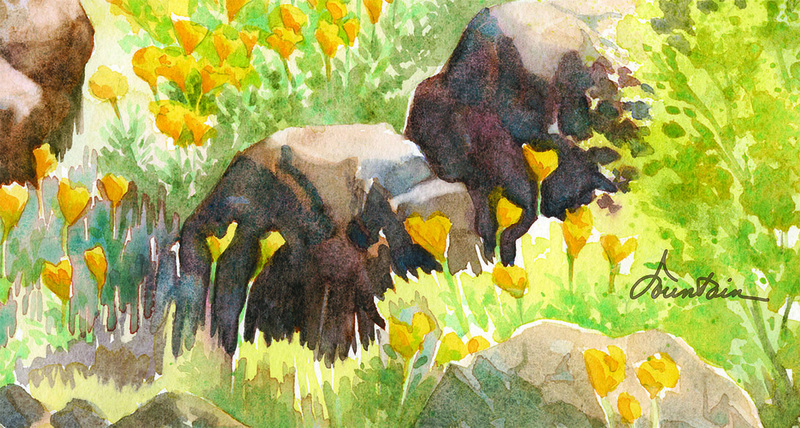 This class uses figures of speech and other literary devices as inspiration for content, and couples that each week with specific watercolor painting techniques commonly used in still life paintings. The slides for the above class (Considerations for Still Life) are also appropriate for this class. Click here to download exercises to help you explore a variety of themes. If you want the accompanying slides for each theme, click on one or more of the choices to the right. Practice looking carefully and translating reflective surfaces into paint on paper. How to expand your composition, thinking and painting skills by re-painting themes or subjects in new ways.